The more you play, the more your initial awe drains and is replaced with focus. Instead of laughing at how much is going on during a game, you'll be taking in all the information that's on screen and using it to determine your next move. 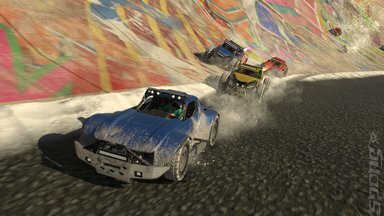 The depth becomes apparent and Onrush becomes more than just a quick-blast arcade game. Suddenly winning feels more earned and losing more frustrating. As with most online competitive games though, little cracks begin to appear and you soon find yourself focusing on them as a scapegoat for bad performances. One of these problems is the hit detection. Sometimes you'll feel as though you were destroyed out of nowhere, or that contact wasn't even made. There are moments where you try to slam into an opponent and unjustly come out of the collision worse off. There're also times when the eye-melting particle effects are too intense for you to see in front of you, or when you feel like you're putting in an incredible performance only for your team to lose by some distance. Little cracks that eat away at you and make you question whether the whole thing is broken or not. This might be my only concern with this game. Although these small issues won't stop you from having an absolute blast, they could reduce this game from hundreds of hours of competing down to 10 hours of incredible fun. 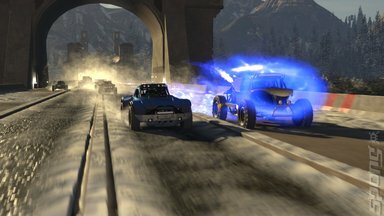 In its current state Onrush has the potential to turn people off early, but tweaking a few things here and there based on player feedback could fix everything and really fire Onrush into the hall of fame. 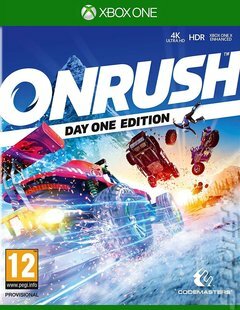 What need to be acknowledged though is that although Onrush is incredibly unique, it still stands on the shoulders of giants. Most of the game's presentation is inspired by games across all genres. From Overwatch's loot crate system to SSX's style, shades of Burnout, Titanfall and Rocket League are all here and Onrush makes them all feel like distant relatives. More importantly though, these homages are all expertly cherry-picked. The developers have only used the best ideas and nothing feels like it's been chucked in at the last minute or flat-out stolen. The result is a game that feels like it's firing on all cylinders. From a loot-crate system that doesn't feel egregious to a whacky tone that doesn't irritate. From the simplicity of each class to the huge amount of customisation offering a personalisation that feels unique to every player, Onrush nails it all. Visually it's absolutely stunning without trying to focus on sharp textures or incredible back drops. Instead the aim is to fill the screen with colour and moving parts to make everything feel like an explosion from an action movie. It's fast and exciting from the moment you start until the end. You'll be thankful for the moment to blink between rounds. If you find the need to get away from the hustle and bustle of online then the single-player mode is more than worth checking out. Although it's basically just the same stuff but with other players replaced with bots, it gives you the opportunity to force yourself to try different classes and focus on different objectives that may just pull you out of your settled comfort zone enough and introduce you to some new tactics. 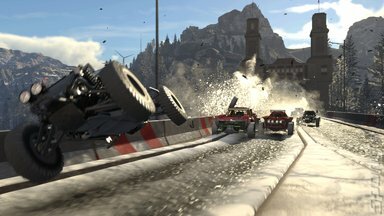 So has Onrush lived up to the first time I played it? Yes. So far it absolutely has, but it feels as though there's a lot more playing to be done to determine whether it has the lasting power that the likes of Overwatch or Rocket League has. but as something that is still active. For now though after 10-15 hours I'm happy knowing that this game is sitting on my hard drive waiting for me to get back to smashing punks into walls.